Flooding has affected many parts of the UK – just how much rain can the Thames cope with? I HAD intended to go down to the boatyard on Saturday to take a look at Terra Nova and perhaps start planning for the removal of her mast, spotlight mounting and other bits of brightwork that need to be stripped back to bare wood and then re-coated with varnish – but the incessant rain made it a less than appealing task. I did end up driving alongside the river at Laleham and pulled over to watch the water swirling down towards Chertsey Lock – and steadily rising across the low-lying banks by Burway Rowing Club. And it gave me quite a lot of cause for concern. We’ve just gone through one of the wettest summer’s on record – and if the start of this winter is anything to go by, there seems to be no let-up in sight for the frequent heavy downpours that have caused flooding chaos across much of the UK. And it makes you wonder just how well prepared we are now to deal with a major inundation across our area similar to that suffered most recently in 2003 and on several occasions prior to that. Residents will remember that in 2009, plans were unveiled by the Environment Agency to build three new flood diversion channels to reduce the flood risk along our stretch of the Thames – one from Datchet to Bell Weir Lock by the Runnymede Hotel at Egham, one from Chertsey Road, Staines to Chertsey Lock and the third from Chertsey Lock to the old river in Shepperton. Those proposals were generally welcomed by the people in the front line – those living on or close to the banks of the Thames, but since then there has been virtually no progress made. By the same token, things may just go on getting wetter with heavier than average rainfall and the level of runoff from the land surrounding the Thames – and just as importantly its tributaries – may continue to increase to the point where the banks of the river will simply be unable to contain the volume of water. I know that the EA confidently predicts that the Thames is generally pretty slow to react to heavy falls of rain around its upper reaches and that there will always be plenty of notice to enable them to open the weir gates to alleviate any flood danger. Well, sorry chaps, but just take a look at the towns and villages that have been inundated over the past few days thanks to the incredibly heavy rainfall. Call me an old cynic, but I daresay most of the people now having to mop up following these floods were also lulled into a false sense of security by people saying it couldn’t happen. And it’s not just those living on the Thames itself that need to be asking questions. 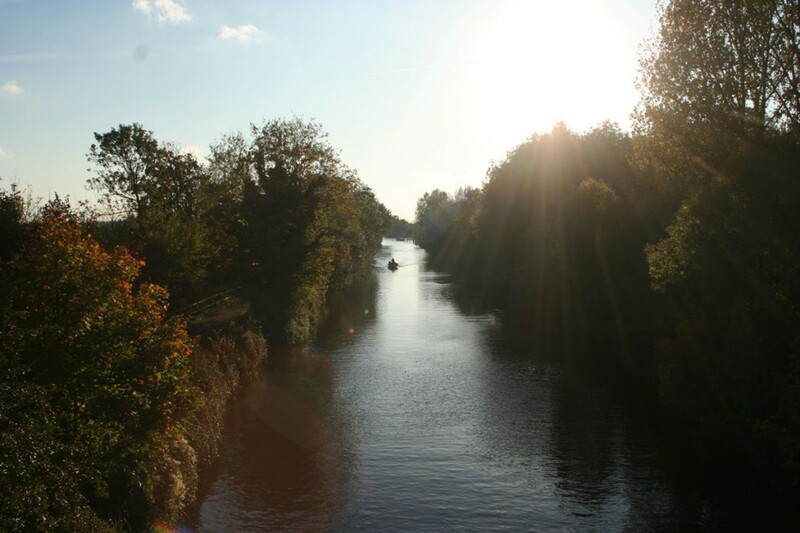 Tributaries like the Ash, the Mole, the Wey and the Colne, to name just a few, will also be at risk of bursting their banks if the Thames cannot cope with the volume of water. It would be good to hear from the Environment Agency where the flood diversion plans now stand and whether there is any timescale for work to begin.